A broken window isn’t just unsightly, it can have dramatic effects on insulation and energy bills, as well as leave your home open to intrusion. When a window breaks, it’s pivotal you respond to the problem as soon as possible. 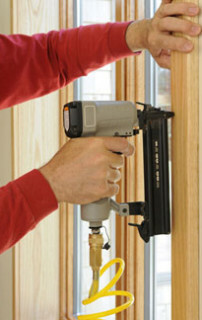 At Pinnacle Home Improvements, we’re experts in window repair and replacements, with many years of experience supplying a range of affordable solutions to countless happy customers. 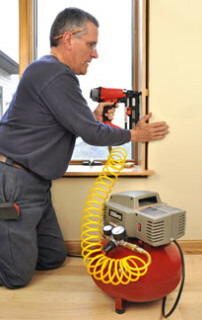 Need a broken window repaired quickly? You’ve come to the right place. At Pinnacle Home Improvements, our repair and window fitting services are second to none, with a dedicated team of professionals ready and waiting to provide first-class repair and window installation solutions whenever you need. Are your UPVC windows showing signs of wear and tear? There’s countless indicators that your windows might need repairing or replacing, from rotten frames, damaged seals and stubborn sashes, to mist and condensation building up between panes. At Pinnacle, we offer a range of solutions to these common problems, with quick turnaround and affordable prices to have your home looking in tip-top form in no time. If your windows have suffered damage, it’s important to take a moment and consider whether it’s worth repairing them, or invest in brand new replacements. Window repair might seem like a cheaper alternative to complete window replacement, but if you’re looking to make savings in the long run, taking the plunge and investing in new windows might be the better option. At Pinnacle Home Improvements, we offer a variety of affordable double glazing windows and door services, designed to withstand the elements for years to come. What’s more, all of our windows are designed with energy efficiency in mind, helping keep your home warm and well insulated, slashing fuel bills dramatically. We’re not just specialists in windows, we offer an incredible range of door services and conservatory services too. Need a new door? We’ve got an incredible selection on offer, made from a diverse range of materials in a variety of styles for the perfect complement to your exteriors. We also offer a door repair service, ideal if you’ve suffered a break-in and want to restore your door to its former glory or increase your home security. Pinnacle Home Improvements also offer a range of conservatories, perfect if you’re looking to expand your living space and add value to your home. We’ve a range of options to choose from, providing you plenty of choice, whether you’re looking for something timeless and traditional, or a more modern extension for contemporary spaces. Interested in our window services? Contact us today to enquire more about our window replacement and repair solutions, or to discuss our door services or conservatory catalogue. You can drop us a line on 01527 522019 to speak to our friendly team in person, or drop us a message via the online enquiry form to request further information about our products and services, or arrange a free and impartial quote for your project.